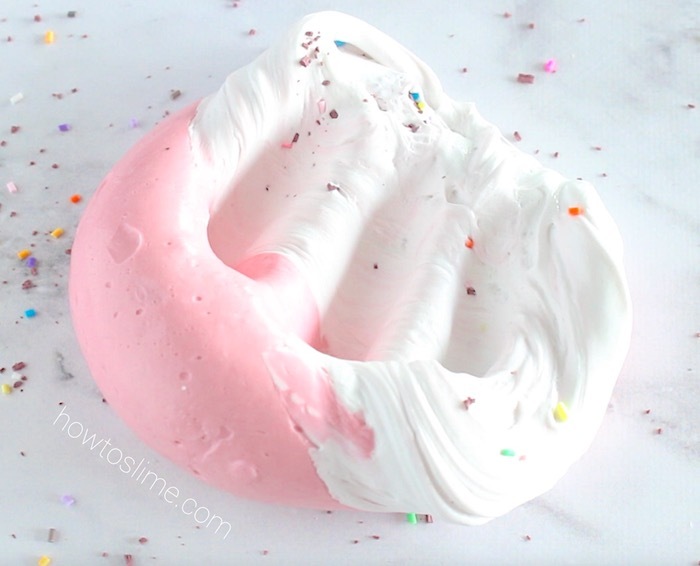 Making super thick slime is very easy and you will only need 2 ingredients. 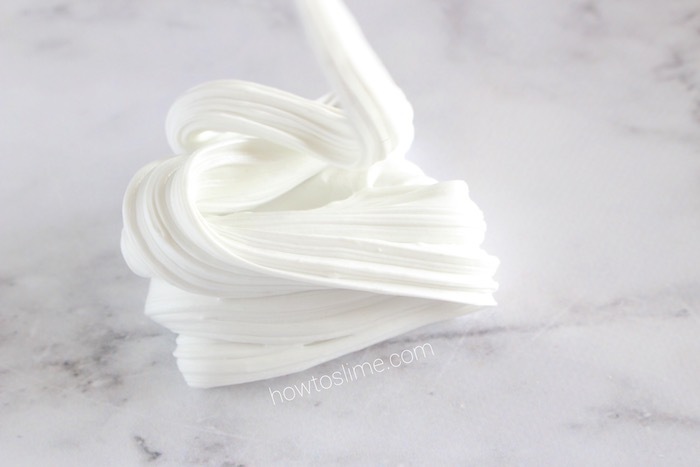 I like thick slime because it holds its shape longer and it’s great to use in some slime recipes like cereal milk slime. 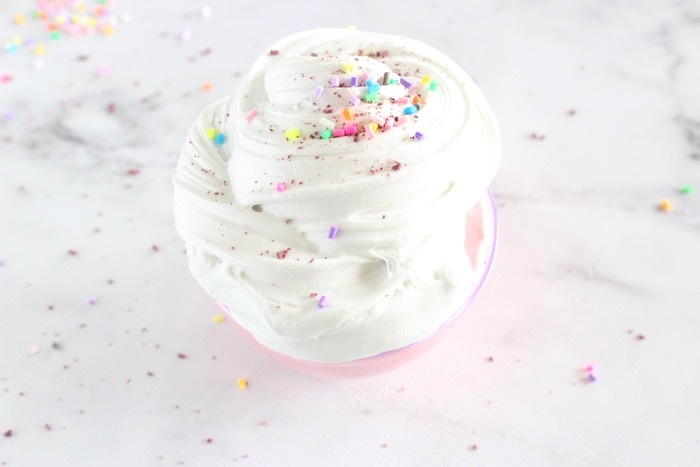 I like to use my thick slime to make “frosting” so I can put it on top of my cupcake slime without melting too fast. 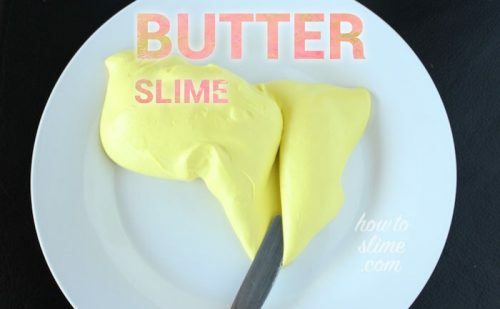 The secret ingredient to make thick slime is Elmer’s Glue-All Multi-Purpose Liquid Glue. 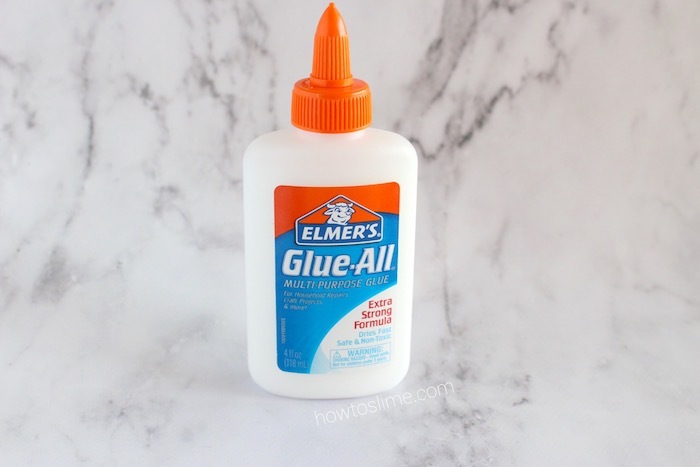 Glue-All type of glue contains 30% more glue solids for a stronger bond. 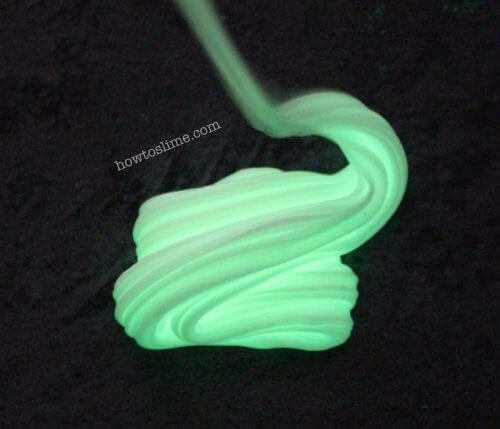 The texture of the slime will be very thick but still clicky and stretchy, you will love it! 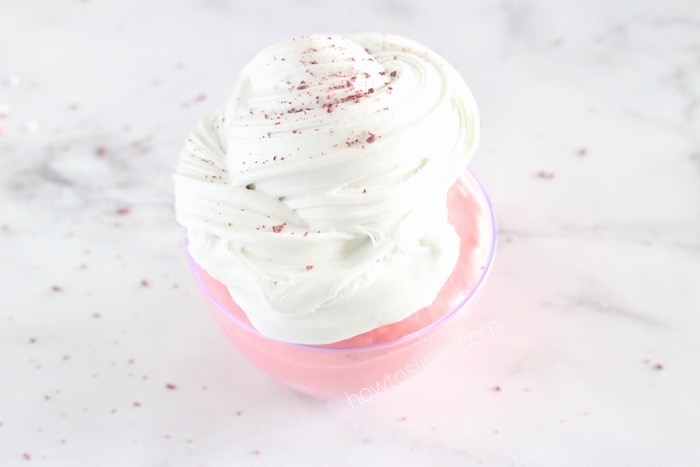 Here is the 2 ingredient recipe. 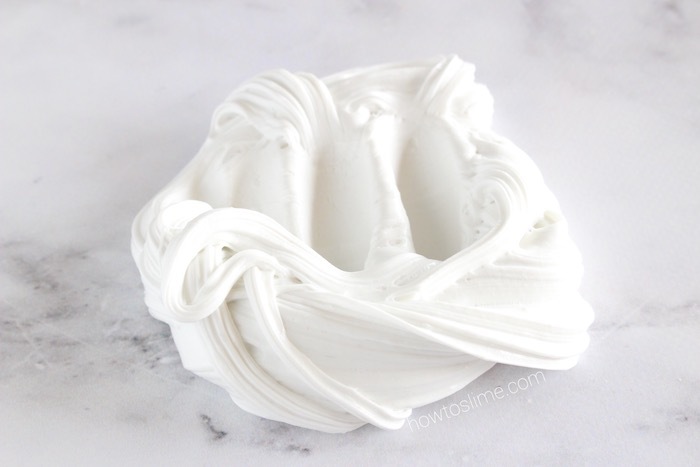 Pour the Elmer’s Glue-All glue into a bowl. 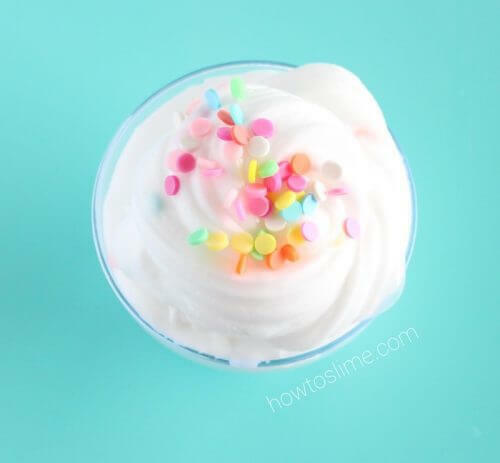 You can add now some food coloring if using. 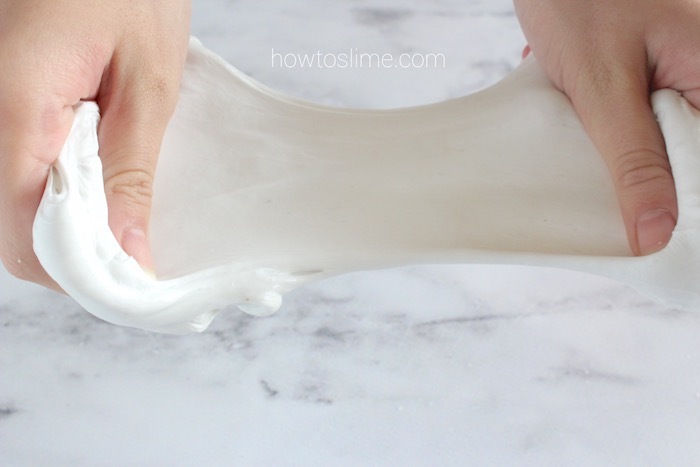 Activate the slime by adding borax to the glue. Add activator while stirring with a spoon or wooden stick. Keep adding the activator until the slime begins to form. 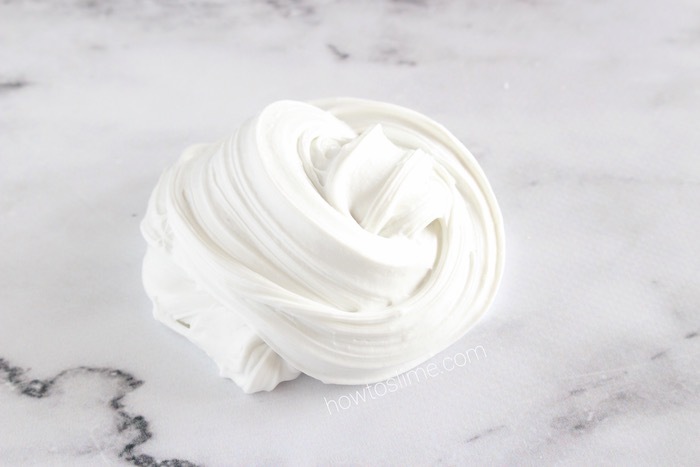 When it’s no longer sticky, you can take it out of the bowl and start kneading with your hands. Add a little more activator if needed. 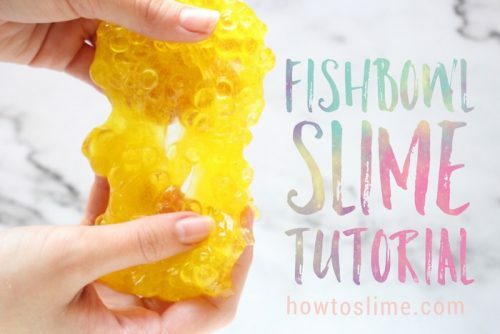 The slime should be thick but also stretchy. Store in an airtight container when not playing with it.